Building up good organization and planning habits is hard work. That's why so many people struggle with planning ahead. Don't get discouraged! 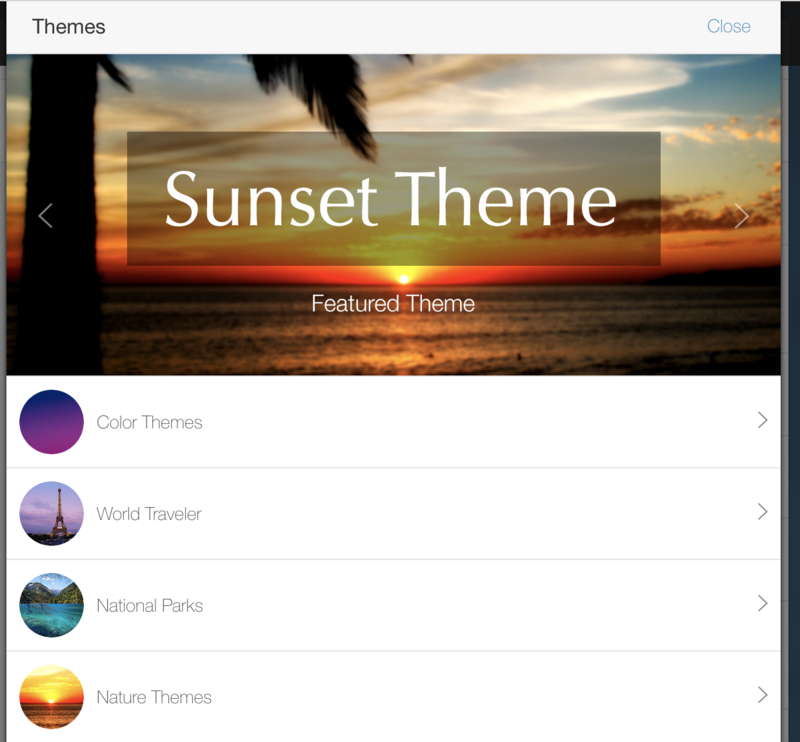 It can take awhile to find out the right way to use myHomework that fits your world. If you're struggling with your use of myHomework, here is our advice on how to get a fresh start and try to turn things around. What if I'm starting a new school year? Starting fresh with the app in appearance and a clean slate on what to do is a great first step in recommitting yourself to being organized. The steps below are how we recommend going about getting a fresh start with the app. We recommend using one of the website, chrome, windows, mac or iPad apps which all have the options pictured below available. Use the option to "Mark All Late Complete"
Use something different. Consider using something fun, funny or weird to mix things up. Tap on the current picture in the left hand navigation. Tap on the picture again on the screen that pops up. Use the option to upload a new picture. Switch the "Open to Calendar" option so the app launches to a different screen. This option is found in the Calendar Settings area of the apps. Explore the additional options available for your device(s) at /apps. 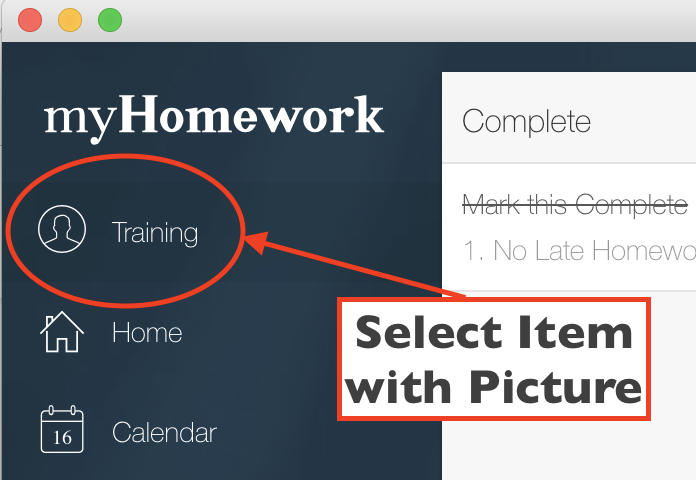 The myHomework widgets or external calendar options are helpful to many. In addition to getting a fresh start with how the app looks, it's important to think about why the way you were using it in the past wasn't helping you succeed. Why did you stop using myHomework? What problems are you having with getting things done or in getting good grades that you would like to correct? For problems forgetting to turn in assignments. Add a second homework whenever there is something to turn in. Mark one item complete when you've finished the work and only mark the other item complete after the work has been turned in. For problems getting distracted when you get home. Set up a daily homework reminder to think about the homework you want to get done that night, and maybe even write down your goals for the night, before you begin your work or play. That extra thought the homework you need to do will help you remember you need to get started on your work. Every situation is unique. Take a minute to think about a new strategy that could help you do even better in school and how your planner can help you stay on track. Don't give up! Once a person finds a process that works for them, it's a great feeling to see how productive they can be. There are options in settings for removing the existing data. If you're moving to a new school, it may be easier to delete your existing account and sign up for a new account.